Scotland Thistle Embroidered T Shirt by Live For Rugby. This garment is made from high tech breathable polyester fabric which wicks away moisture and keeps it shape wash after wash. 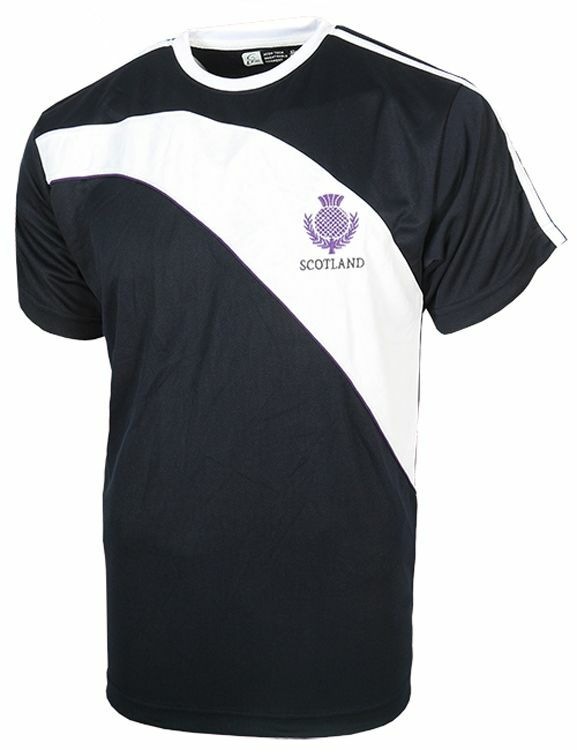 This t shirt features an embroidered Thistle and Live for Rugby LFR logo on the front. Being an active sports shirt means it can be worn for leisure or sports. A great addition for use with your kilt in the summer months too! Updated colors for 2018. Our Scotland Thistle Breathable T-shirt is now available in navy accented with a white swoosh and purple embroidered thistle. Our t-shirt is made of our Breathlite® fabric.